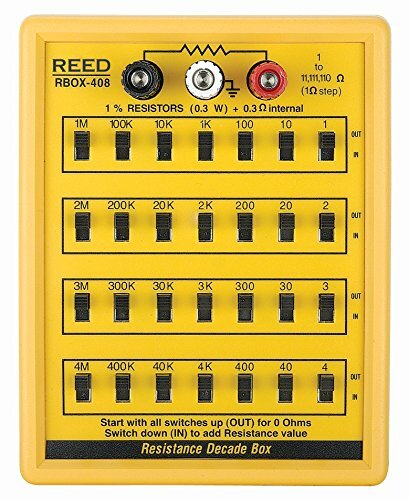 This resistance decade box can be used to design and test circuits. The R5408 features slide switches that allow a user to easily add or subtract to quickly reach the desired resistance range. Once tested, a resistor indicated by the decade box can then be put into the circuit.